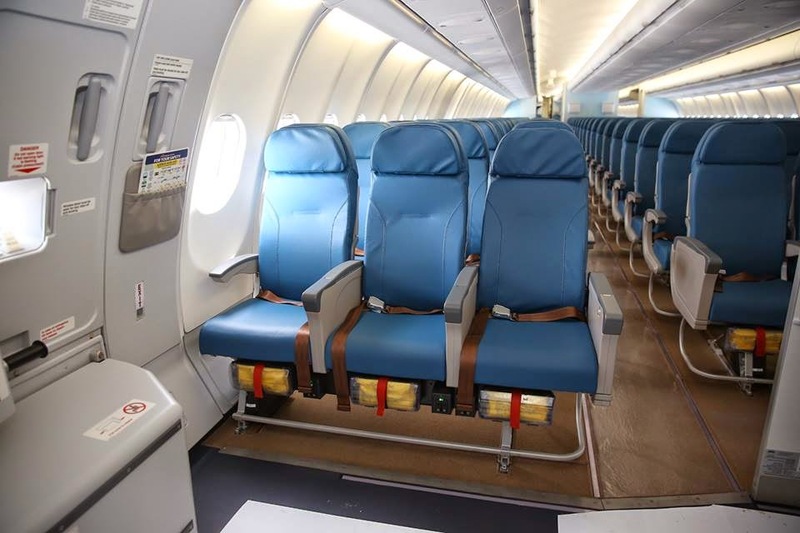 Aviation Updates Philippines - Philippine Airlines had unveiled its new seats on board their newest aircraft, the Airbus A330-343X HGW. 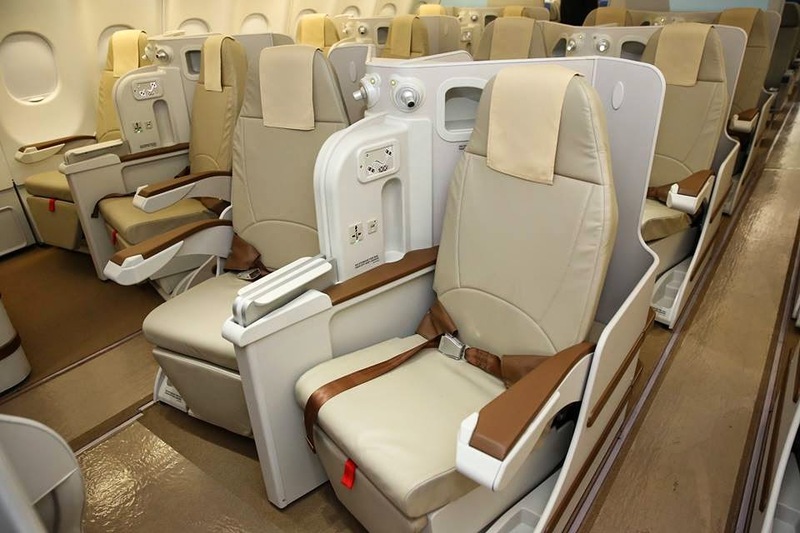 The aircraft is equipped with 18 Business Class seats, 27 Premium Economy seats, and 323 Economy seats. 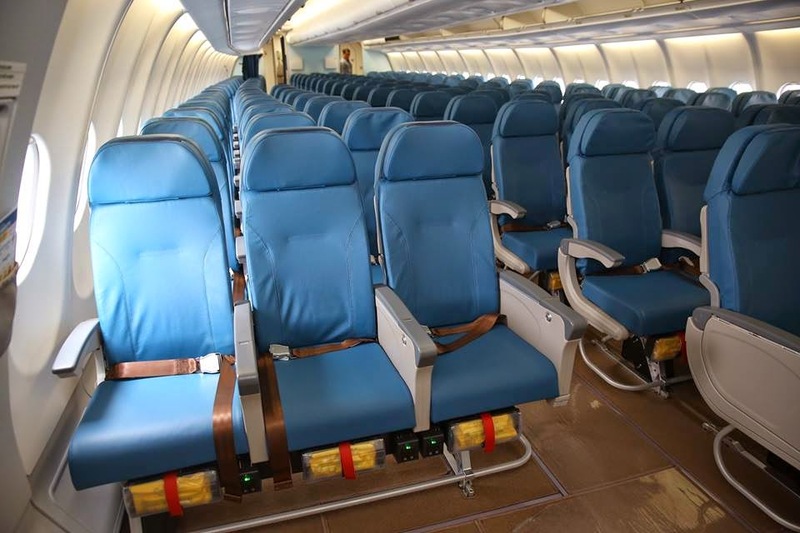 Philippine Airlines ordered the High Gross Weight A330s in 2012 which is heavier than the standard Airbus A330s. The newly acquired Airbus A330-300 HGW of Philippine Airlines with the tail number, RP-C8760, will be seen operating in Abu Dhabi, Bangkok, Hong Kong, Nagoya, Tokyo-Haneda, and Seoul throughout the year. 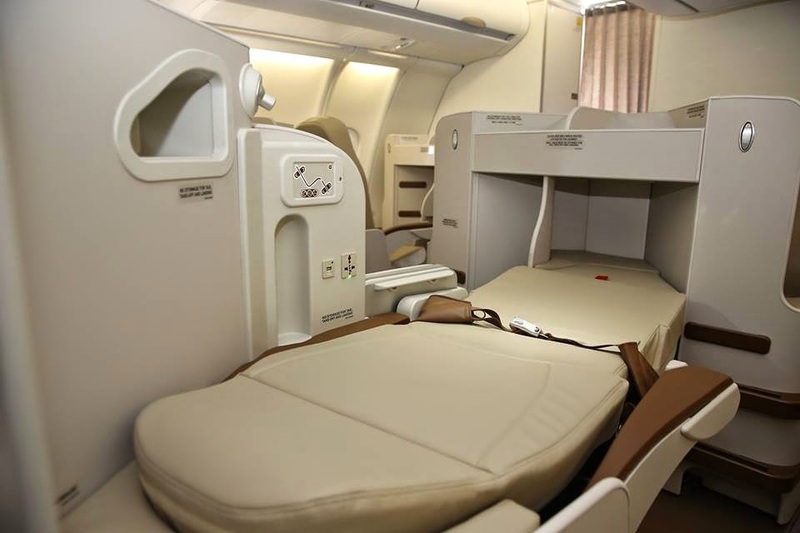 Photos below shows the seats and interior of the newly acquired Airbus A330-300 HGW. Photos are copyrighted by Philippine Airlines. 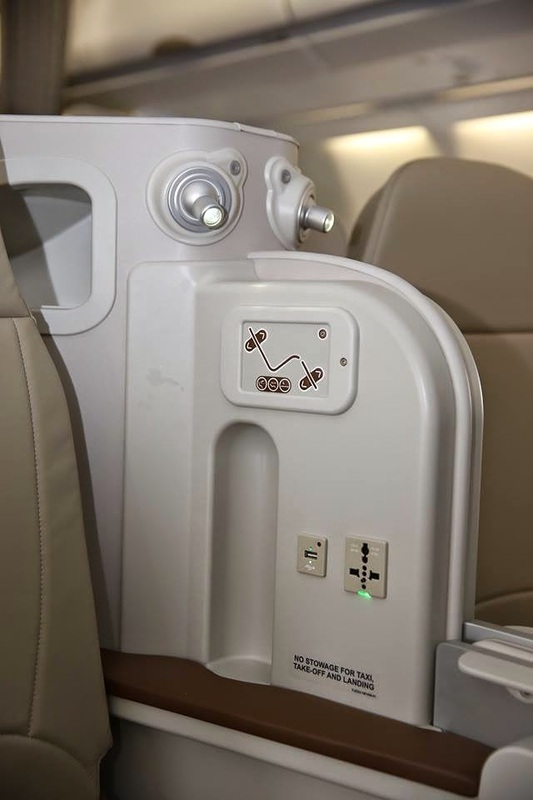 Economy Class features SICMA 5751 articulating seats with seat pans that lift up and slide forward as the seat back reclines, the design also optimizes passenger space. 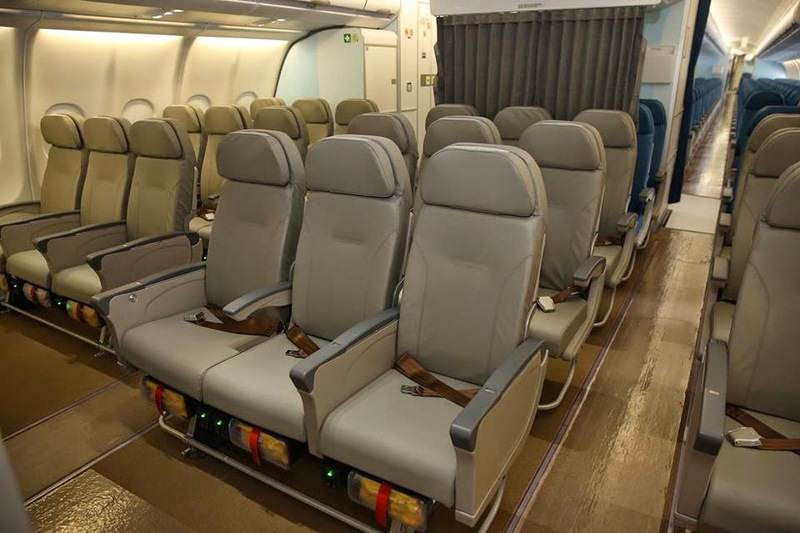 The seats in economy class pitches from 30 to 31 inches. 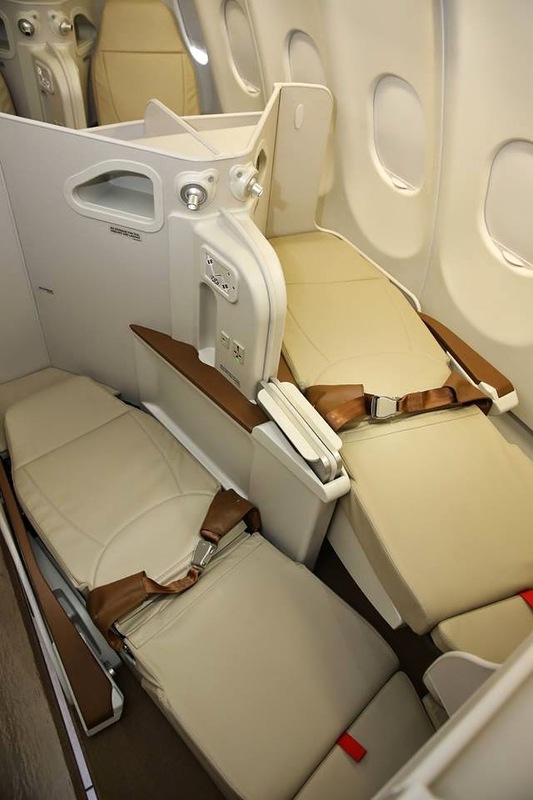 Premium Economy seats have more legroom than the regular economy seats, economy seats have an industry-standard pitch of 30 to 31 inches while the premium economy have 34 inches. 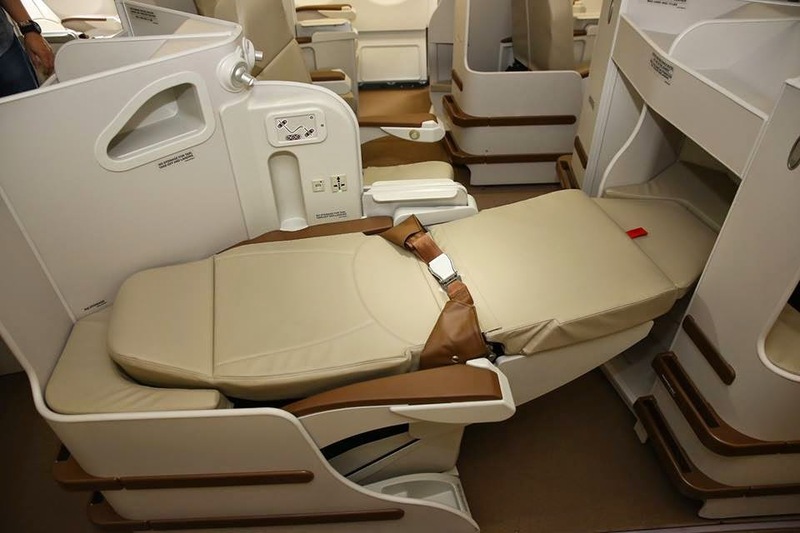 Business Class seats showcases the Equinox 3D seat by French design firm Sogerma – a plush, ultra-modern seat with an innovative design. Note: *Photos above respectively belong to their owners. The reading lights in business should be changed to a flexible type rather than the fixed one. The economy 3-3-3 seats are just horrible!. When you are more than 5'7" in height your head will touch the wall panels of the aircraft! Thanks for your feedback. 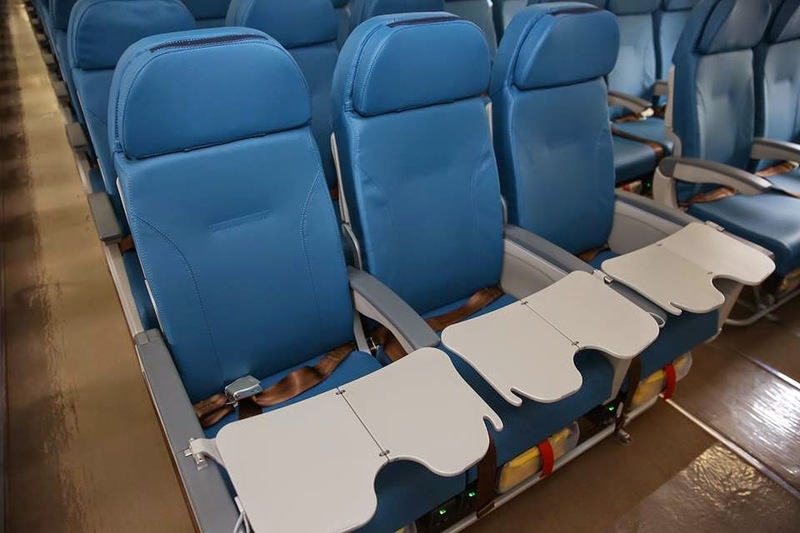 This will be helpful for the airline to adjust their cabin arrangements in the future. I flew in this jet last April round trip Tokyo-Manila. 3-3-3 configuration on board the A330 is HORRIBLE. (while 3-4-3 in their 777s is still tolerable). PAL is loosing my loyalty!